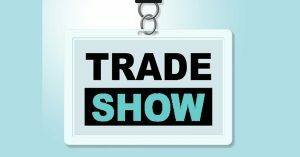 Almost all businesses in a variety of industries participate in trade shows. Trade shows are typically weekend to week long events hosted in a large venue such as a coliseum, convention hall or hotel where companies set up their booths in exhibition style, to demo their products and showcase their services. NY Party Works has a variety of trade show rentals. You can rent booth set ups from us. Most people rent what we refer to as traffic builders, including rentals such as games that the audience can participate in. A crowd favorite is the Money Cube; you can watch your guests literally dive for dollars! Another popular booth rental is the Putting Challenge. In this game each player can choose one of two challenging 18 hole courses. They will put their putting skills to the test. The game can accommodate up to 4 players at one time. Many people wonder what it is like to ride big waves. When you rent the VR Surfing Simulator, a virtual reality surfing simulator, you can give your guests the ride of their life. Each participant has a choice of famous surfing location, anywhere from Todos Santos to Huntington Beach and even dare to try the pipeline! Each surfer’s experience is supported by a motivating soundtrack. Photo Booths are a popular, fun attraction as well. Our Mirror booth is a proven traffic booster. Your guests can take pictures of themselves in a selfie-like fashion and even write messages on the mirror surface. The booth even speaks compliments too. Rentals such as these are designed to draw attention to your booth. Once you’ve captured your audience, you can then pitch your product or service. Essentially if you draw people to your booth, have them try your product or fill out a lead card, you are successful in your efforts to grow and promote your business or service. At NY Party Works, we offer valuable and personal service; we will work with you to determine the goals of your trade show rental. We will make our suggestions based on your input combined with our product list and help you determine what products will work best for you and your trade show booth.